"Real Estate Solutions delivered in Real Time"
As a Commercial Real Estate Firm, we offer Landlord and Seller Representation, Buyer and Tenant Representation as well as Advisory Services. Our Methodology for representing a client brings sustainable success. This property is located on Highway 87 or Maco Rd. It is situated just north of the Intersection with Colonel Mintz Rd. The property has a gentle slope toward the middle where there are some low/potential wet areas (no delineation or study has been done). The property is perfect for country estate lots. The Zoning currently permits up to 3 UPA. The property has a access easement to Maco Road and direct access on Colonel Mintz Road. Sewer and water are close but not to the property yet. Making Septic and Well the current available options for immediate development on the property. Investors and developers looking to hold the property will benefit. Owner is willing to subdivide the tract into 10 acre portions or sell entire parcel together. This tract of Land is located at 20 Fuller Lane in Hampstead. Hampstead is a community located just north of Wilmington NC and is in between Wilmington and Jacksonville!. This acreage is located in a prime growth corridor. With low acquisition cost this property is a prime addition to any development in the vicinity. 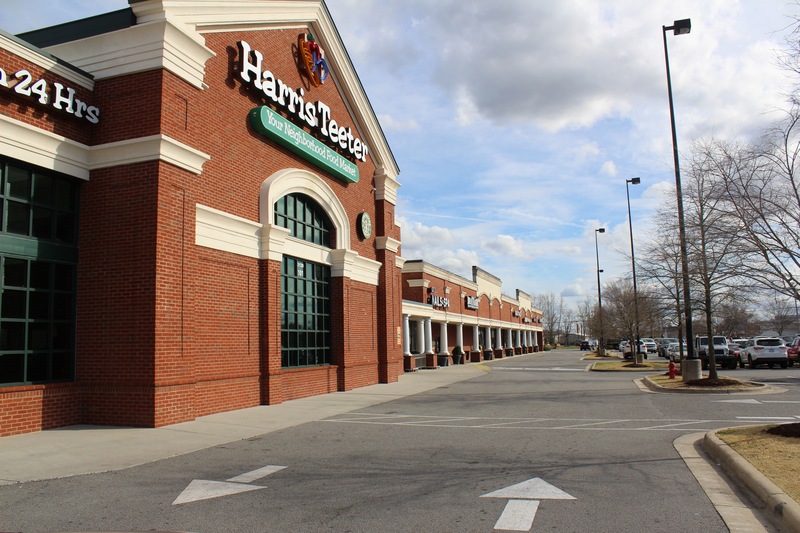 101,312 SF Neighborhood center for sale in New Bern, North Carolina at the intersection of Hwy 17 (MLK) and Glenburnie Rd, Harris Teeter anchored. For more information please contact brokers for a NDA/CA to receive rent roll, store sales and NOI. 3224 North College Restaurant Space LEASED! ECCRE is pleased to announce the Leasing of commercial office space at 3971 Market Street. TLC Operations Inc. Tammy Lynn Center For Developmental Disabilities is the new tenant. Brokers David Branton and Bernadette Silivanch represented the Landlord. ECCRE is excited to announce the Lease signing of Revel 42 Golf Carts and Power Sports at 423 N. College Road. This 4,000+/- sq ft building was a former Hardware and Pawn shop. David Branton and Nicholas Silivanch represented the Landlord in the transaction. ECCRE is excited to announce that Life Force Church has leased 2 units in the Barefoot Square Shopping Center at 1915 North County Drive in Castle Hayne. John Hinnant and Bernadette Silivanch represented the Landlord. Snows Cut Crossing Lease announcement ! Wilmington is getting a new major auto repair facility in South Eastern Wilmington. Located at 3705 Carolina Beach Rd, this 11,509 sf facility was formerly a Gerber Collision Repair center. Leased in July of 2018 the facility will now be used by Car Star. Car Star is a growing national brand auto repair center. ECCRE is excited to announce the closing of 804 S Kerr Ave. This tract of land was purchased by Wilmington Brew Co, the adjacent owner of 824 S Kerr Ave. The property transfer was completed in July for $350,000.00 for the 2.9 acres. David Branton Represented the Sellers in the transaction! ECCRE is excited to announce the following transaction brokered by Julie Stephenson. The property formerly known as Red Barn Theater will now become Axes and Allies, a Axe throwing venue serving wine and beer. For more details check out the Greater Wilmington Business Journal Article here. ECCRE Brokers Lead the Way – Two Place in the top 15 of Regional MLS. ECCRE Broker Nicholas Silivanch Represented Lifeline Treatment Center in the leasing of their new facility Located at 5710 Oleander Drive Suite 100. Deedy Vincent of Cornerstone Realty Group represented the Landlord in the transaction which closed after Christmas. ECCRE is excited to Announce that the property and building at 432 N College Road was leased to Industrial Supply Co. The Building is currently being renovated by the tenant and they look forward to opening in the spring!. Congrats to Nick and Dave on the lease! Good Work. ECCRE is excited to announce the sell of 3973 Market Street, Unit A-B, Wilmington, NC. Bernadette Silivanch was the lead broker on the transaction. If there are any questions or comments on this deal please contact 910.399.4602. ECCRE is excited to announce the lease of the 5,000SF building located at 60 Dream Ave, Delco, NC to Lester Furniture. ECCRE represented the landlord. The Brokerage team for this transaction was Garry Silivanch and Bernadette Silivanch. If there are any questions or comments on this deal please contact us at 910.399.4602. ECCRE is excited to announce the lease of 1250 Western Blvd, Jacksonville, NC to Soffe, Inc. ECCRE represented the tenant, Soffe, Inc. The brokerage team for this transaction was Nicholas Silivanch and David Branton. If there are any questions or comments on this deal please contact us at 910.399.4602. ECCRE is excited to announce the lease of 1843 Lejeune Blvd, Jacksonville, NC. ECCRE represented the tenant, Clean Eatz. The brokerage team for this transaction was David Branton and Nicholas Silivanch. For any questions or comments on this please contact us at 910-399-4602. ECCRE is excited to announce the completion of a long term lease to relocate RHA Health Services to New Bern, North Carolina. ECCRE represented the landlord. The brokerage team for this transaction was Garry Silivanch and Nicholas Silivanch. For any questions on this deal please contact us at (910) 399-4602. Eastern Carolinas Commercial Real Estate and Cape Fear Commercial Real Estate were featured companies in a Wilmington Business Journal Article recently. The Article speaks to companies that are home grown and have expanded outside of the Wilmington Metro area. ECCRE which now operates in the marketing of properties in 10/50 counties in Eastern North Carolina. ECCRE announces the new addition of Alexis Milas to the firm. Ms Milas will be the firms marketing director and will also be a broker. ECCRE is excited to announce the closing on approximately 2 acres of land on Medical Center Drive. 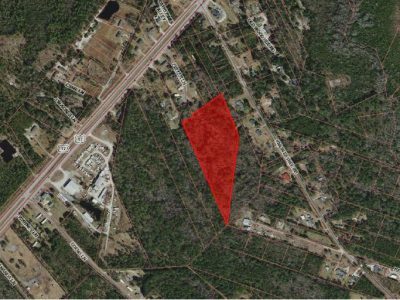 ECCRE’s Nicholas Silivanch represented the buyer of the parcel and Maus Warwick and Matthews John Hinnant represented the seller. The Closing occurred last Friday. Congrats to the Buyers and Sellers on a successful transaction. Eastern Carolina Commercial Real Estate is excited to make the following announcements about our Brokerage Team and Company Staff. Promotions – Julie Stephenson, our longtime office manager has completed her North Carolina Licensing Exam and has obtained her Real Estate License. Ms. Stephenson has migrated into a new role with the firm as a Broker. Garry Silivanch, Partner and Broker In Charge for Eastern Carolinas Commercial Real Estate, was quoted in the Wilmington Business Journal regarding the state of the local market place. Check out the Story by clicking here. ECCRE’s team and staff fared well through the storm. Most of our clients properties did as well. To those who are affected through power outage, tree damage or other events, our thoughts and prayers are with you. 2,998 sf of office space has been leased to a growing technology firm. ECCRE was happy to represent the landlord in the transaction and Bryce Morrison of Cape Fear Commercial Represented the tenant. Unit A-2 a 5,000 square foot retail space has been leased to Burn Body Boot Camp, a fitness studio franchise. The Tenant is a franchisee of the popular Charlotte fitness company. For more information check out the release in the Greater Wilmington Business Journal. Click here. 1316 South Fifth Street, Wilmington NC SOLD! Eastern Carolinas Commercial Real Estate is proud to announce that 220 Avondale Ave has been leased to a long term tenant. It super exciting to see this excellent 2000 square foot office unit have a new user. We are excited that Beau Rivage Market Place has gained a new tenant. Mr. Phix PC owned and operated by Ted Glackin is officially a tenant at Beau Rivage Market Place located at 5916 Carolina Beach Road, Suite 120. New Locations, Second Stores are in the works at these centers! New Youtube Video Channel for Eastern Carolinas Commercial Real Estate is up. Eastern Carolinas Commercial Real Estate is excited to announce the leasing of Unit 70, a 7,400 square foot unit at University Centre, Wilmington’s Regional Power center located at 312 S College Road was leased by Anytime Fitness. This new Franchise which is coming to the Wilmington Marketplace has selected University Centre as its first location. ICSC Next Gen Event a Success – Future Event in the Works. Some interesting thoughts from the economists at the National Association of Realtors…. Check them out here, where they discuss economies of scale in Commercial Real Estate. The news update for our region is a day behind this week as Eastern Carolinas Commercial Real Estate traveled to Las Vegas to meet with clients, potential retailers, Developers and Investors to explain why Eastern North Carolina as a whole and the projects we are working on make sense for the users we met with. The weekly commercial real estate update four our region, local areas and national news plus some interesting content. National Cushman Wakefeild Real Estate was purchased for 2 billion… not to shabby One of the nations largest REITS is getting out of Hotels…. Looks like mark to market for the interest rate is about to start…. This is great news for the area. Looks like the UNC System is considering a Medical School at our local campus. Click here for the article. While this has been seen as a boon for landlords, quickly turned into a bust with the law enforcement going after their locations. With this notice it looks like the major carriers of the gaming business are now pulling out of offering the software in North Carolina, which officially means that sweepstakes are done for. Here is the weekly wrap up of commercial real estate news and trends in a Micro/Macro Setting… The Apartment Market is on the Rise with this recent sale in the Leland Market in Brunswick County Looks like another great day for the beach communities this summer with the expected rise in tourism Another Business is relocating…..
Wilmington is the 2nd best City to start a business in America! Everyone who lives and works in the Wilmington, NC metro already knows this is true, but we also know we should have been #1!!!!!! Check out the story here… At ECCRE we believe in Real Estate Solutions in Real Time. Interview on Why Investing in Real Estate is Important. Some Real Estate News that may affect the Port Cities in the Eastern Carolinas, Wilmington and Moorehead City. How to stop a rent hike when operating a restaurant/dive bar? This fun article comes from Bloomberg News, perhaps some of the local operators in Eastern North Carolina should take note! Click here for the article. Business North Carolina had a great roundtable discussion recently discussing the major events in and around Eastern North Carolina. Many great ideas were discussed especially with the growth and development dedicated to ECU. Check out the discussion by clicking here. ECCRE is excited to post this update courtesy of the Greater Wilmington Business Journal on our clients development update. Wilmington Commercial Real Estate Office Development Sector is set to add 20,000 more sf to the military cutoff corridor with the new build that Developer Steve Anderson has proposed. For the article Click here. With the Market accelerating in with development in Retail and Multifamily, its interesting to see a court take a stance on moving a development forward. That is the Case for this development in the Porters Neck MSA in Wilmington. For the Article Click Here. 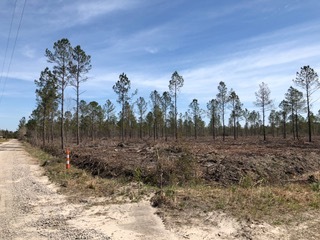 It looks like things are continuously moving forward in Leland with Growth at Brunswick Forests Commercial Component. Click Here for the Article Discussing whats going on in Brunswick Forest. Nicholas Silivanch, Partner and EVP of Retail for Eastern Carolinas Commercial Real Estate, was quoted in the Greater Wilmington Business Journal along side Mr. Hyman Brody the developer of the Mayfair Towne Center, and Ms. Meyer the Chair of the Marketing Department for the University of North Carolina Wilmington. For the Full Article click here. Eastern Carolinas Commercial Real Estate has been hired to represent the Walgreens Plaza in Jacksonville NC. The property marketing materials will be up on our website shortly. We look forward to this excellent property hitting the marketplace soon. Stay Tuned. Three Articles to read on Sales and Marketing, Deployment Tactics and How proper use of Technology can enable your growth. Bayshore Commons is announcing the addition of another Tenant to its Tenant roster. 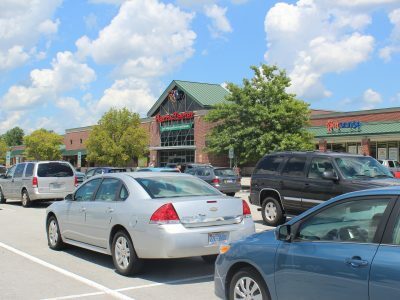 Cape Fear Seafood Company, has joined our other announced Tenants which include Buffalo Wild Wings, Fantastic Sam’s, Lee Spa and Nails, Sally Beauty. The Restaurant which is locally owned is adding its second location at the new Wal-mart Super Center in Porters Neck. This article from May 23 2014 discusses the current need for new commercial space in the Wilmington Metro Trade Area. Nicholas Silivanch, VP of Acquisitions and Leasing for ECCRE was quoted in the Greater Wilmington Business Journal Article. Click here to read the Article At ECCRE, we believe in Real Estate Solutions in Real Time. Nicholas Silivanch, Vice President of Acquisitions and Leasing for ECCRE was quoted in this article for the Greater Wilmington Business Journal discussing scarcity of retail space in Wilmington. Click here for the article At ECCRE, we believe in Real Estate Solutions in Real Time. This article discuss the sale of the last out parcel at Fulton Station, another ECCRE represented property. Taco Bell purchases the final outparcel at this neighborhood strip center located at 17th Street ext and S College Road. Click here for the article At ECCRE, we believe in Real Estate Solutions in Real Time. Garry Silivanch is the featured broker in this investment sale article. Garry put together a investment plan for the tenant, located a purchaser and completed a sale and lease transaction on the building. Click here for the Article At ECCRE, we believe in Real Estate Solutions in Real Time. This article discusses a Major Lease which took place at University Centre, the Wilmington MSA’s Regional Power Center. It also discusses one of the fastest leases we did in 2012. It was listed on Wednesday and leased by Friday the same week. Click Here for the Article Real Estate Solutions in Real Time. Back in 2011, it was announced that Team Silivanch was awarded the leasing rights for the BTS project known as the Britton Center, at 5330 Carolina Beach Road. We are proud to say that the project is now 100% leasing. Today the property has Wilmington Lady Fitness, Verizon Wireless and Electra Vapor as the tenants.